At ARPN, we’ve long made the case that the current push towards a lower-carbon future is not possible without mining, as green energy technology relies heavily on a score of critical metals and minerals. In 2017, the World Bank World Bank published “The Growing Role of Minerals and Metals for a Low Carbon Future”, which echoed this conclusion. 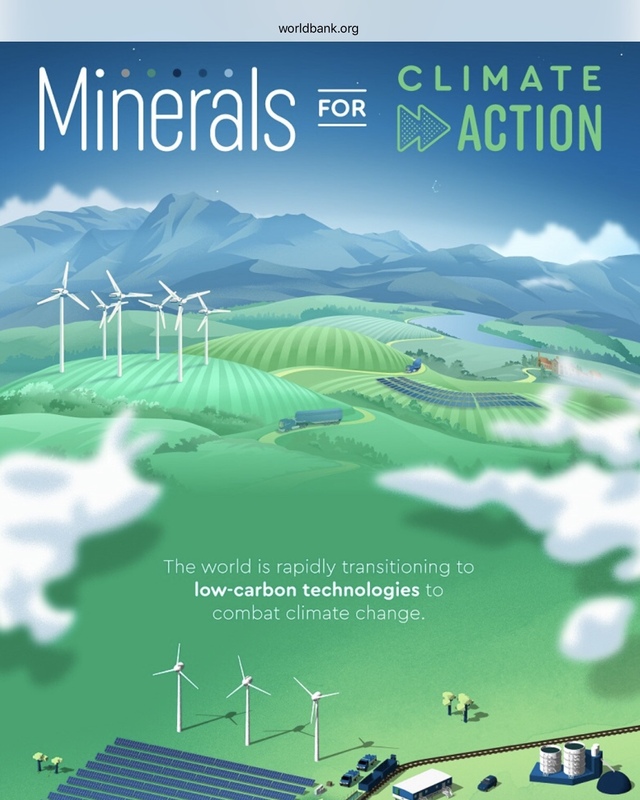 Climate-Smart Mining builds on the work the World Bank is doing to help ensure resource-rich developing countries benefit from their mineral resources and manage them in a sustainable manner, while fostering economic growth and development. Our technical support also helps governments improve the investment climate by strengthening governance and building the capacities of key institutions, policy frameworks and legislation. As we recently pointed out, advances in technology harnessed by the modern mining industry make it possible to restore a balance between mining and environmental protection – a position recently shared by Fleming Voetman, VP for Public Affairs at the International Copper Association, who, in a piece for GreenBiz, outlined how “[i]ndustries are responding by recognizing their responsibility and trying to meet the increased expectations of consumers, society and governments,” and are partnering with the World Bank and other institutions and organizations to move forward to sustainably greening the future. In the coming months, as the Climate-Smart Mining initiative unfolds, we will keep tabs on these and similar efforts on our blog. It is critical to have this conversation now — as underscored by a recent Congressional hearing during which Simon Moores, managing director of Benchmark Industrial Minerals and member of the ARPN panel of issue experts, alerted U.S. Senators to the fact that the U.S. is already falling behind in one key green energy area – battery technology and energy storage. Moores called the U.S. a “bystander” in the current battery arms race. Here’s hoping that they do. 2018 – A Year of Incremental Progress?